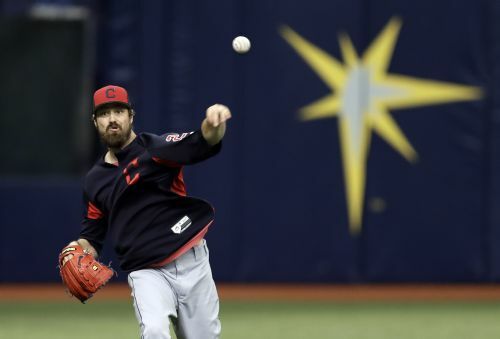 ST. PETERSBURG, Fla. (AP) — The AL Central-leading Cleveland Indians got star reliever Andrew Miller back Monday and plan to put former AL MVP third baseman Josh Donaldson in the starting lineup Tuesday. "He's raring to go, so that's exciting," Indians manager Terry Francona said. "He doesn't have a minor league game under his belt, so he might not command (at first). He might, but if he doesn't, we have 19 games (left in the regular season)." "I feel great," Donaldson said. "I passed everything that I wanted to accomplish and what they wanted me to accomplish. My expectations are go out there and help this team win, whether it's defensively, offensively, whatever it may be. I feel like I'm in a good position right now anytime my body is able to do the things that I want it to do." "It's really good news," Francona said. "He's having a good week."